The model opens up on how she deals with industry pressures and what wellness means to her. Preparing for fashion week is hard enough as it is. And all we have to do is attempt to look like some semblance of the stylish people our job titles would purport us to be and get ourselves (occasionally on time) to the shows and various appointments we’ve actually been invited to. For the models who actually walk the runways, stand for hours on end at presentations, host countless parties, launch events and signings, it’s a whole other beast entirely (perhaps you’ve heard of the sample size). So we got to talking with a Bandier-clad Andreja Pejic at Brooklyn’s Xtend Barre—the site of her latest Pilates obsession—the heralded transgender model who, well, knows a thing or two about the pressures that come with working in an industry where your body is quite literally your meal ticket. 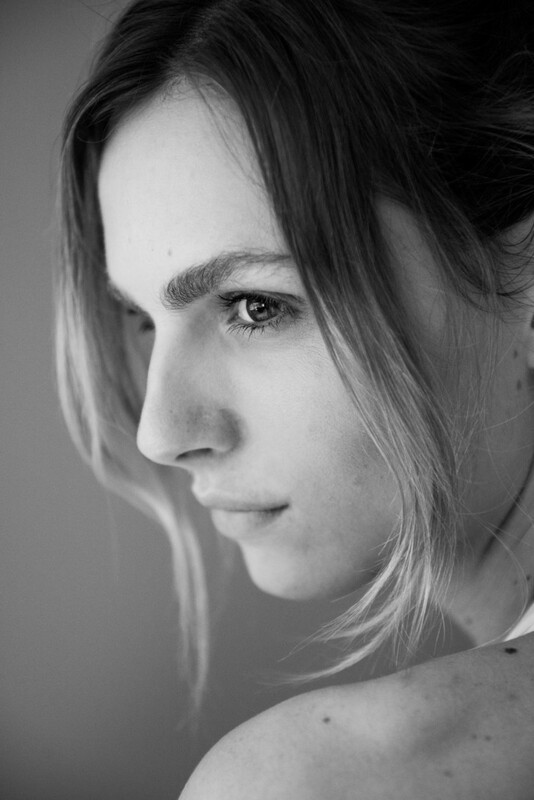 Herein, Pejic tells us about the importance of prevention, avoiding snacks, fashion week breakfasts and why she feels lucky as a member of the transgender community. “For me wellness is about staying healthy, so you can live longer and enjoy life more. Life is short, so we should work on our bodies to have more fun and to keep going for longer. It’s definitely a state of mind: at the end of the day it’s just about being happy. [My wellness goals include] staying healthy, looking good, and skincare and skin health is something that’s very important to me; keeping my metabolism fast, keeping my body fit and my muscle structure toned. I avoid sunlight as much as possible and wear SPF 50 all of the time, even in winter. I drink a lot of teas—green tea, white tea, all herbal teas—I think it’s very important as far as antioxidants go. I use good skincare: a lot of antioxidant serums and retinol treatments, along with regular exfoliation and cleansing. I exercise at least twice a week. I have a natural muscle tone, so I focus more on cardio and I do quite a bit of Bikram yoga. I don’t necessarily diet—I have periods when I’m not so healthy and then I have periods when I’m more concerned—definitely around fashion week. I don’t diet, but I cut out fatty things and processed sugar, and just generally try to eat healthy food. "As a teenager, I ate a lot more sugar and processed food—when you’re young and you have less of a conscience—but I don’t eat sweet anymore. I’ve cut out snacking; I go to the gym more regularly; I do a lot more walking up and down stairs. I think I’ve just evolved more of a conscience when it comes to my wellness. “I drink teas; coconut water is great. If I go out and I’m going to have a few drinks, I use this electrolyte powder that you dissolve in water. It’s supposed to hydrate you 10 times more than normal water—that’s important because obviously nights out can be dehydrating. I generally don’t cook that much—I just make breakfast—but I make a nice curry with curry powder. During fashion week I’ve been going a lot to Liquiteria, and I usually have a morning breakfast smoothie and a side parfait. Usually for breakfast I eat eggs. I like to eat something substantial for breakfast; I definitely think it’s the most important meal of the day, so sometimes a bagel with tuna and avocado. [My guilty pleasure is] probably my mom’s cake. When I go back home she tries to fatten me up; she thinks I’m too skinny. She’s European, so she’s very much all about food and every time I go back she deliberately makes cake for me to eat because she knows I love it. And I love fried chicken once in a while.